I'm doing a Happiness Project this year (inspired by Gretchen Rubin), and this month I'm focusing on health. One way I am trying to be healthier is by cutting back on the amount of sugar in my diet. I have a major sweet tooth and I know that the amount of sugar I eat is my worst eating habit. There are certain parts of my sugar consumption that are non-negotiable to me. I love to bake and I don't plan to give that up anytime soon. And you know how I feel about ice cream. However, I know that I could significantly reduce my sugar intake by making better snack choices. 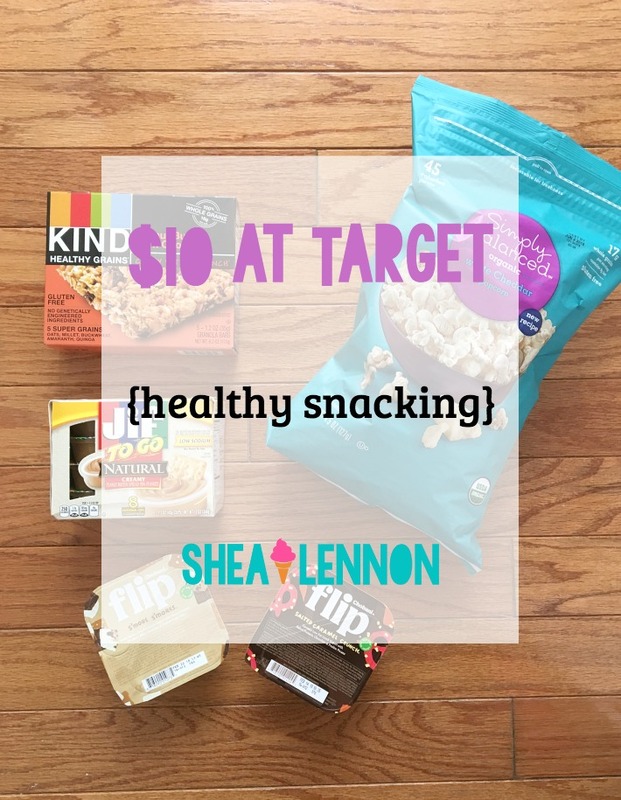 For this month's $10 at Target I decided to find some fun, healthy snacks that I don't usually buy to shake up my snacking habit. 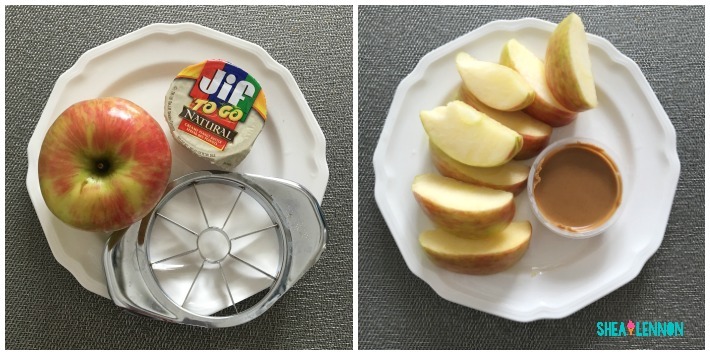 I love eating apples with peanut butter, but for work I want don't take the time to put the peanut butter into a portable container. (Lazy, I know.) I saw these little peanut butter to go cups and I know they will help me make that healthy snack more convenient. Another snack I like that for some reason I rarely think about is popcorn. 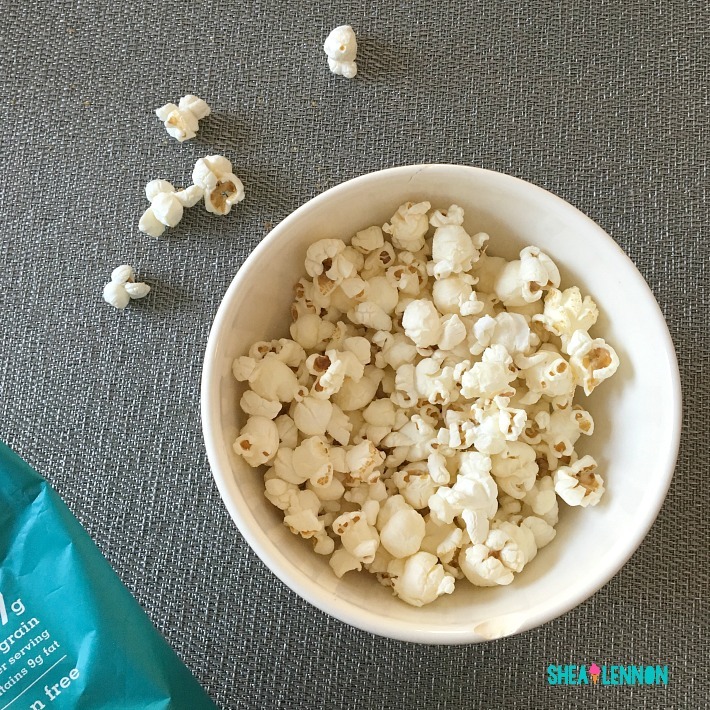 It feels like I'm eating something unhealthy, but popcorn is actually a low calorie snack. I love the white cheddar kind. I like granola bars too, but the kind I usually go for are packed with sugar and chocolate. They're a little expensive, but sometimes I treat myself to these Kind bars--they're still sweet (the kind I bought is peanut butter dark chocolate) but not nearly as bad as some of the other varieties out there. Part of my problem with snacking, I've realized, is that I don't keep enough healthy snack options available, so I just end up eating whatever's around (which is not always the best decision, especially at work). 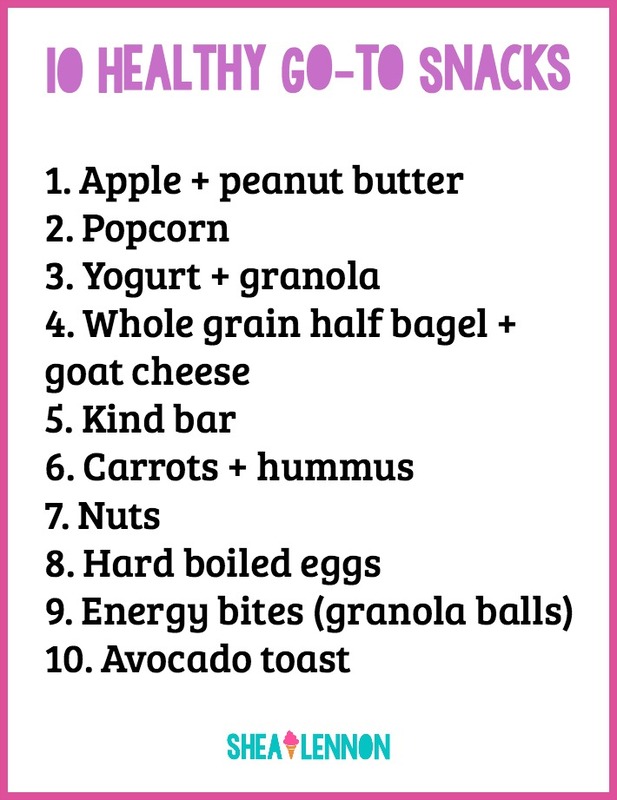 Inspired by this post at Everyday Reading I decided to make a list of 10 healthy go-to snacks to always plan to have on hand. When I need a snack I'll just go to my list and choose something. 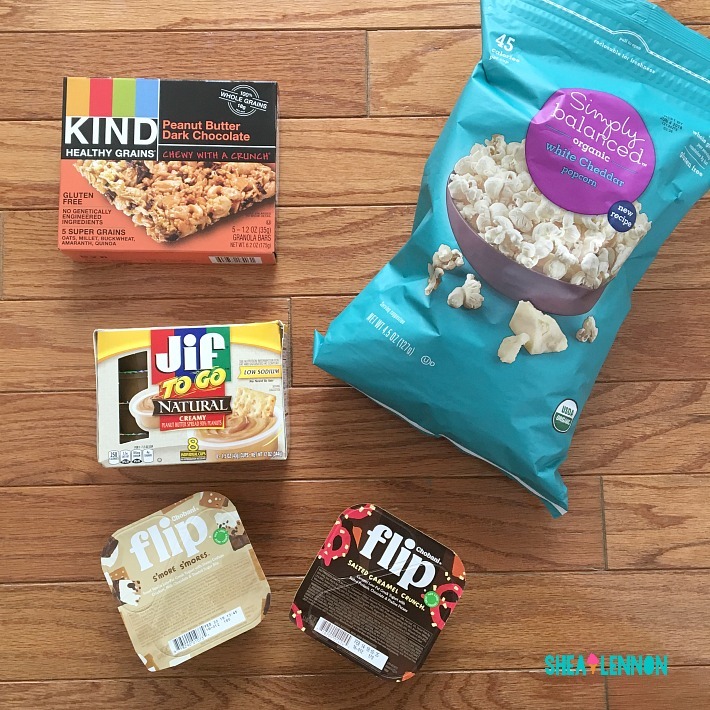 What's your favorite go-to snack?